IIt is our goal in the Millwood Fine Arts Department to provide an alternate outlet for our students to express themselves and become more well-rounded individuals. In our ever-changing world, we support our students' creative outlooks and allow them to solve problems by thinking outside of the box. Located in the Heart of Oklahoma City, students are minutes of some of the country's finest art museums, performance venues, and cultural exhibits. 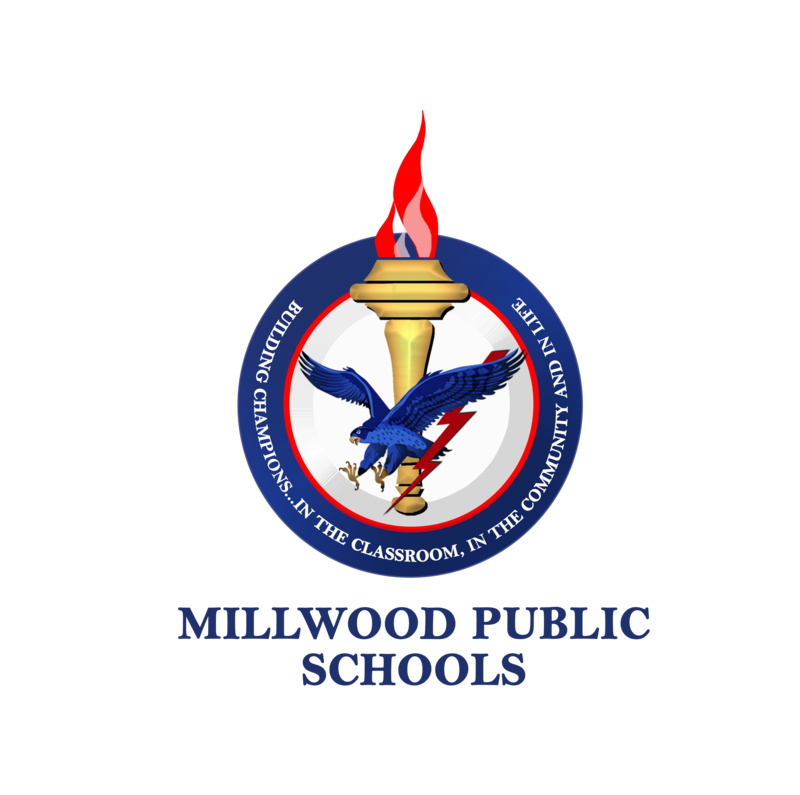 Millwood offers a diverse array of courses and extracurricular fine arts opportunities, including drama, dance, visual arts, band, and Bring Back the Music. Dream Girls 2017 - "Cadillac Car"
The Millwood Public Schools Drama Department is committed to the study of theatre through project -learning. Utilizing quality instruction and collaborative learning, the Drama Department strives for excellence in performance and production. Through cross-curricular teaching, our students master not only their art form but their core subjects as well. 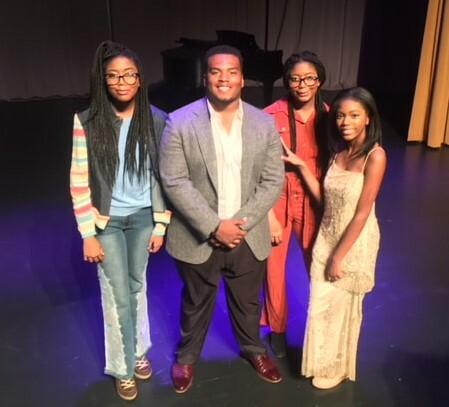 The Drama Department provides a high-quality extracurricular activity opportunity for those students to be engaged that may not be athletically or musically talented. Recent productions include Dream Girls and The Wiz. The current Drama Director is Ms. Tara Coffia. Dance courses are designed to introduce students to various forms of dance including: ballet, jazz, hip-hop, and musical theater. Along with executing various forms of dance, student gain knowledge of basic dance steps, choreographic principals, various rhythms and rhythmic structures, as well as how to utilize dance to increase understanding in their academic curriculum. Students also choreograph dances, learn to critique performances, engage in performances, and participate in group projects. Students not only learn to dance, but also engage in activities that help to reinforce their core academic learning. The current Dance Director is Ms. Eboni Johnson. This course is designed to introduce students to various forms of dance including: ballet, jazz, hip-hop, and musical theater. Along with executing various forms of dance, the student will also gain knowledge of basic dance steps, choreographic principals, various rhythms and rhythmic structures, and how to utilize dance to increase understanding in their academic curriculum. The students will also choreograph dances, participate in performances, learn to critique performances, and participate in group projects.Throughout the semester students will not only learn to dance, but also engage in activities that help to reinforce their core academic learning. Students will be asked to write research papers, read poetry and portray the meaning through dance, be introduced to basic kinesiology, and a various other core academic related projects. This class is an intermediate class where students will gain knowledge of hip-hop history and culture, which are the spine of the dance form. Students will gain a valuable understanding and appreciation of the improvisational nature of this dance form while learning basic movement and terminology. This class will examine different manifestations of this dance form- breaking, popping and locking, house, and fusion- while equipping students with the fundamentals of each style. By taking this course, students will gain a deep understanding of choreographic principals, improvisational skills, and the ability to increase core academic knowledge through the use of dance. Due to the advanced nature of this course, students will be required to stage, choreograph, costume, and light 2 shows during the year. This will count as their final grade both semesters. This class is an advanced class where students focus on mastering classical dance techniques, improving flexibility, understanding and demonstrating various choreographic principals, and utilizing dance to increase understanding of core academic curriculum. Students will be asked to demonstrate an understanding of advanced dance terminology and dance technique. This class will consist of classroom activities which will include preparation for numerous community and school performances, deepening students understanding of academic curriculum through the use of dance, and mastering the principals of choreography. The visual art program at Millwood is foundations training with emphasis on the elements and principles of art. Mostly focused on classic projects and practices using various mediums. Students will participate in activities that involve art history, art criticism, aesthetics, and art production. © Millwood Public Schools 2017.